I am 15 weeks post-op and was released to full duty at work. I have 4 more physical therapy sessions to work on strength. Almost able to do a single heel raise. Lots of agility exercises at PT. Doc said the tendon would feel thick and stiff for about a year but over time would become more flexible. I am doing light running / fast walking on the treadmill. Each week the AT seems to feel less stiff in the mornings. I will make another post in a couple months when I start snowmobiling. Happy healing everyone. Its been 13 weeks since Post-OP and everything seems to be going well. My doctor took a fairly conservative approach, so I feel like I am a little “behind”, but in the big scheme of things I am right on time. I have been out of my walking boot for three weeks now and have been released with no restrictions other than staying away from high impact sports. I still walk with a slight limp because I have very little strength in my repaired Achilles. I can do two-legged heel raises just fine, but can not do a single heel raise - YET. Physical Therapy has been consisting of lots of stretching and strengthening. The “strength” part is slow, but every week I am making small gains. In two months I will be back to snowmobiling! I am making a video documenting my journey and will share the link once it is completed. Happy healing everyone! Today’s doctor appointment marks six weeks Post-Op. It was encouraging that everything appears to be healing just fine, and I was given the green-light to start working up to FWB in my walking boot. Drove to the Physical Therapists office and got my first appointment scheduled in two days – exciting progress. Although mentally I am ready to take on more physical activity, I know in reality that my ATR is still healing and needs a lot of nurturing. One step at a time, literally…. I am at 4-weeks Post-Op and just had my cast taken off. Surprised about how much Muscle Atrophy has occurred. I have had a couple friends experience Muscle Atrophy and they assured me that I will get it back, but it will take some time. PT starts next week and I cant wait to get that started. Its been nice to take off my boot and massage my leg, calf, and Achilles area. Happy healing everyone! I am 4 weeks Post-Op, and just had a favorable exam from my doctor. He likes the way everything is healing, and was complementary on the angle of my foot as it sat without any support. I’ve been put into a walking boot, and I am still NWB, but given permission to take it off and massage the calf, lower leg, and Achilles area. Another couple weeks and it’ll be time for PT and PWB. The light at the end of the tunnel is getting bigger although at first it appeared very dim and dark. Today’s a good day and I am encouraged that my recovery is going well. 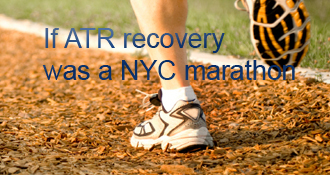 Anybody that reads this post that is just going through the beginning stages of an ATR, rest assured, you will get through it, and although the recovery process is long, the light at the end of the tunnel will continue to grow bigger. Two weeks post op, I went and had my splint removed, and had a plaster cast put on. It was fun to have my kids with me, because they got to pick out the colors. Ended up with an orange and blue cast in honor of my Alma-Mater, Boise State University. I was actually glad to have a cast on, because I was so worried about a misstep that I was overly cautious and worried about every twitch and every bump. With the cast I’ve been able to wiggle my toes throughout the day and although that’s not much, it is something. I’ve got two weeks in the cast, and the doctor said that I could get in in Boot (NWB), and he would give me permission to take it off when sitting down to get a slight ROM. That was much more encouraging than the additional two weeks of another plaster cast. So far so good, and it’s been great reading all of the other blogs that there will be a day that I will have a better sense of normalcy. This is my first post, And I am sitting at 10 days post-op. Surprisingly, my short recovery has gone very well. I had a full rupture from running and stepping in a big hole. Date of injury happened on July 4, and date of surgery was July 12. I’ll be going from a splint next week and into a hard cast for the next two weeks. The blogs that I have been reading have been very informational, because the theme seems to be “early motion“, and now that I’m in-tune with that, that will be a topic of discussion with my doctor. I’m on the road to recovery, and look forward to blogging about my progress. Thanks to everyone that has been inspirational in making me realize that I can get through this, and successfully heal my ATR. Congrats! I have high hopes for myself in the spring if that’s where I’ll be in four months like you are. Keep us updated. I did .25 mile on the treadmill on Wednesday, 2.7MPH and that was it Then I went on the elliptical for 15 minutes for intervals (flat) of 4 and 8 resistance. That got the blood pumping. 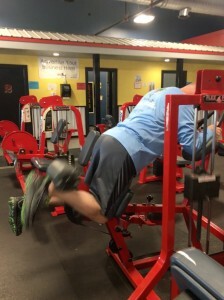 I can do 2 single leg calf raises in a row. Very quick about 75% up. I can do dual leg and keep equal weight in each leg regularly. I have been doing lunges on tip toes no weight 10 reps.
I’m 5+ weeks behind you all. Just started eccentric exercises and just the few I did at PT made my achilles unhappy. LOL! Baby steps initially. Glad you all are progressing well! How are your single calf raises coming along? I can’t quite do one yet. Even eccentric stuff I can’t hold it very long. Have a slight limp that seems to be getting better each week. Push off when running is still flat feeling. Glad to be walking and mobile!! I’m on week 17. Been hitting the eccentric stuff pretty good (lunges, squats, calf raises) and am happy with my progress on flexibility and strength. The reason I ask on your distance is walking for longer periods is a challenge and my ankle gets weak and swells up after a mile or so. Making it more of my regular routine though. Jeff, I haven’t been measuring distance as much as I have been measuring time and speed on the treadmill. I’ve been doing intervals of fast walking/running, and then back down to a brisk walk. Been hitting the elliptical pretty hard as well to get my cardio stamina back. 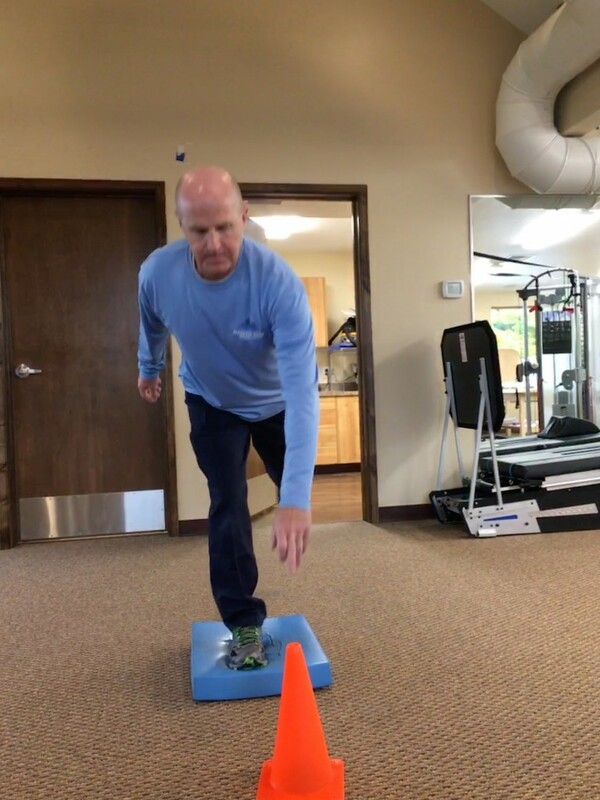 PT has been working agility to include quick stopping and starting movements as well as quick side to side movements. How is your recovery going? Remind me what week you are on? Great progress Tommy! That’s a good feeling to be able to wake up and almost walk normal right out the gate. How far are you going on the treadmill? I’m at 1.3 miles walking outside and ankle swells up pretty good right after. I’ll be four weeks post-op tomorrow, and though everyone’s path to recovery is different, it’s so encouraging to see what is possible in less than four months. Your doc is less conservative than mine - LOL! I won’t get the “release” until the 6 month mark. The strength part takes a while to build back up. Just keep doing the exercises religiously and it will come back. You’re actually in the phase where you can see progress weekly. I think around 4.5-5 months the progress is not as noticeable since it is in much smaller increments. I’ve been now 24 days out of my cast. No boot after cast removal. Few of the things I believe worked for me. Please take what you think can help and always follow your doc/therapist recommendatios. ATR are never identical! - 1 hour PT every two days during first two weeks. - Working by myself on ankle mobility (elastic bands and rotations) and “moving” the scare making Z with my thumbs oftenly. - most important, there will be days you’ll feel weak, …, keep pushing! that feeling is part of the healing process we are all going through. Good luck tommykid29 and jeff16! Looks like we are on almost the same course. It was six weeks for me on Tuesday. I’m curious about what your Dr said as far as “working up to FWB”? Mine said if comfortable to just go ahead. I’ve been getting around a lot since with FWB and am a little concerned about overdoing it. Best of luck on your recovery! Actually you may never get the calf size back to what it was but you will get the strength back. 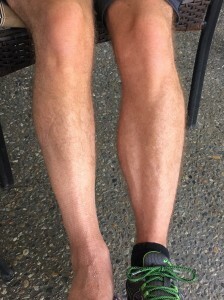 My right calf is still smaller than my left at 1.5 years after surgery. And if you read agnesr’s blog she was doing really high impact exercises after recovery and her calf was still smaller than before surgery. For my left foot surgery we measured my calf before surgery to see how much it comes back - LOL! Now maybe my left and right will be the same size since the left will probably not be as big as before surgery. Sounds like you’re right on schedule Tommy! I’ll probably get in a walking boot at week 3 or 2.5 only because the cast keeps me from sleeping and pushes on a nerve on the top of my foot which makes my big toe numb (at least it did on my right foot and my left foot shape is very similar). I won’t be able to walk until week 6 but at least at that point I can put on a night boot for sleeping. And you can shower without a cast cover on!!! Woohoo!!! Just be careful with the unbooted foot when showering From what I recall I showered with the boot on for another week or so until I got more confident that I wouldn’t move it weird while showering and mess up the healing process. In fact I don’t think I showered without the boot until my doc gave me clearance to start doing some exercise movements (just moved the foot side to side and forward backward). Welcome to the club Tommy! tommykid29’s AchillesBlog is proudly powered by WordPress and WPDesigner..